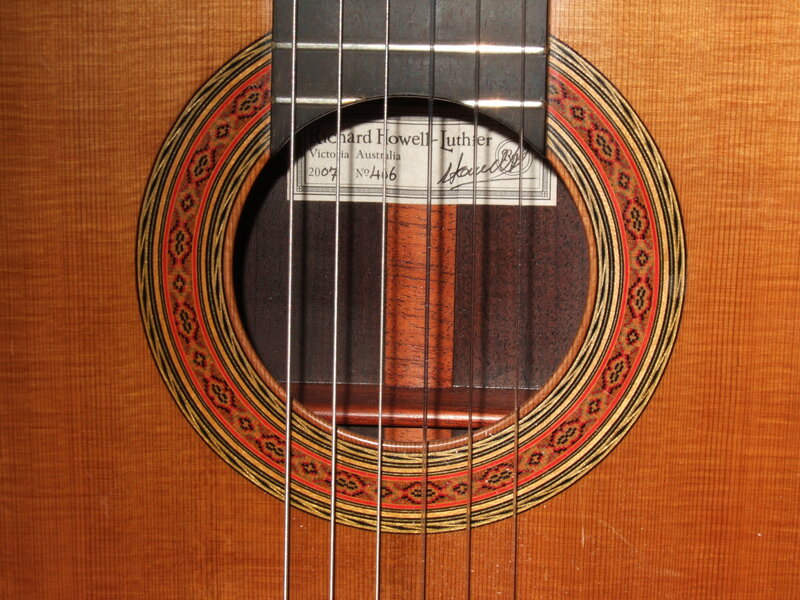 If you enjoy listening to the classical guitar, you may be familiar with the Prelude from J.S. Bach’s Prelude, Fugue and Allegro (BMV 998), one of the most beautiful pieces in the standard repertoire. Composed for lute or harpsichord in the so-called “broken style” (style brise) of the French Baroque, the Prelude consists largely of arpeggiated chords. Played evenly and deliberately, the successive notes create an impression of wholeness, as though the chords’ original order had been restored. Twenty-five years ago, I performed the Prelude in a master class at an international guitar festival in Toronto. The class was conducted by David Russell, then a rising star and now a concert artist of the highest distinction. Seated before me were some fifty guitarists and guitar teachers from around the world. To perform in such a setting was both exhilarating and daunting, not least because my audience had intimate knowledge of the piece I was playing. Interpretive felicities would not go unnoticed, but neither would mistakes. Despite the stressful circumstances, I turned in a creditable performance. When I had finished, and the polite applause had died down, David Russell offered his critique. To begin with, my tone had been inconsistent. I needed to work on that. Moreover, I had played the piece rather metrically, almost metronomically. I could allow myself and the music greater freedom. And most important, I had come down too hard at the ends of phrases. To avoid that unfortunate tendency, I might regard the last notes of phrases not as points of emphasis but as points of destination. “Think of them as arrivals,” David suggested. Given the character of the Prelude, David Russell’s suggestion, however astute, was difficult to put into practice. Composed in 12/8 meter, the Prelude is marked by unceasing forward movement. With the exception of one long pause near the end, the score contains no moments of repose, no half notes, whole notes, or fermatas. If there are to be points of rest—points of arrival—the performer must consciously put them in. Or rather, the performer must be sensitive to natural, if reclusive, moments of repose. In twenty-five years of playing the Prelude, I have never forgotten the principle articulated by David Russell. And over the years, I have seen how that principle may be applied in situations well beyond the bounds of musical interpretation, namely the practice of meditation and the conduct of everyday life. With respect to meditation, Zen master Thich Nhat Hanh recommends that as we sit in stillness, we silently recite the verses, “I have arrived / I am home / In the here / And in the now,” letting these phrases accompany our inhalations and exhalations. More simply, we can inwardly recite the words “Arrive / home” and “Here / now” while breathing in and out. In that way, we counter the pressure, so prevalent in our culture, to be always on the move, always en route to somewhere else. This practice is both pleasant and nourishing, and over time it can become an integral part of the daily round. Even the most hectic day contains moments of potential repose, in which we can cultivate a sense of arrival. And as with musical performance, we can honor those points of rest without losing our general momentum. By doing so, we may discover a hidden but inherent order, a rhythm akin to natural breathing. And we may also discover that even under the most anxious circumstances, it is possible to stop and collect ourselves before making our next move. Indeed, it is essential to do so, lest the life we’ve been given become little more than a shapeless, graceless succession of sixteenth-notes, played without meaning at breakneck speed. Per-Olov Kindgren’s rendition of the Prelude may be heard at http://www.youtube.com/watch?v=JDhv2f2mweE, Jan Depreter’s at http://www.youtube.com/watch?v=LMXpCyS0We4 , and Julian Bream’s at http://www.youtube.com/watch?v=Fdi54PBPYC8. David Russell plays the Prelude, Fugue, and Allegro on David Russell Plays Bach (Telarc 2003). Thank you, Ben, for this interesting post. The tendency to move away from this moment is not limited to our own culture and time, of course – the Buddha spoke of it as the fundamental basis for suffering. I experience this tendency most poignantly whenever I have some feeling-state that I’m unwilling to tolerate. I’ve found it useful not just to accept that this feeling-state is “home” but also to look into it (or look behind it). The Buddha commented that our feelings are actually fabrications. That is, we make them to serve a function. Sometimes, in my looking, I can see the function of some feeling-state; other times, my inner world seem opaque. In those times, life moves at breakneck speed and I can’t wait for some “arrival” that’s different than the one I already have.